This season Le Fix SS18 collection is about searching for what actually makes people happy in their daily routines. Often things we do become known by heart without us actually thinking much about them – just constant repetitions. Therefore, Le Fix paused the hectic city life of fixed routines to think about how to find happiness in even the smallest and most trivial things. These thoughts lead them to the outskirts and suburbs of Denmark to find out what makes the younger generation who are based further away from the bigger cities happy. The result became a reliving of our own 90s rave period mixed up with young and refreshed energy. 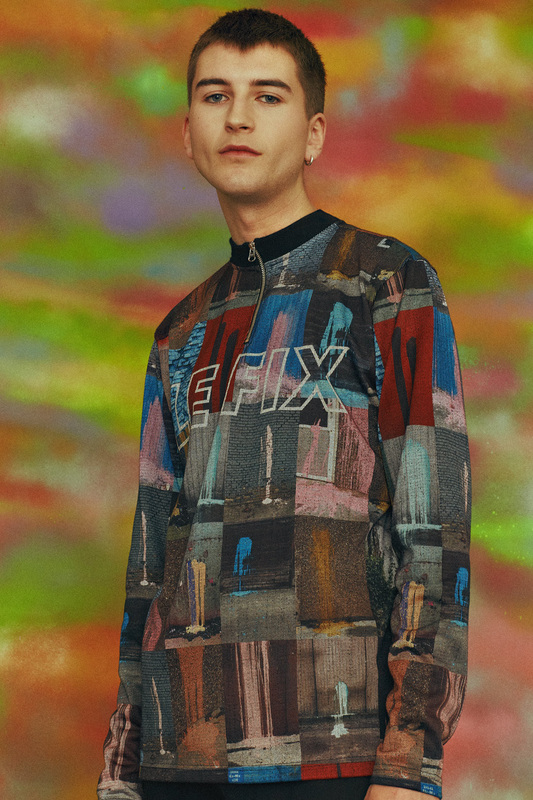 Le Fix SS18 collection consists of their classic Le Fix sport aesthetics including tracksuits in abstract patterns with custom tapes mixed with 90s raver inspired artworks. 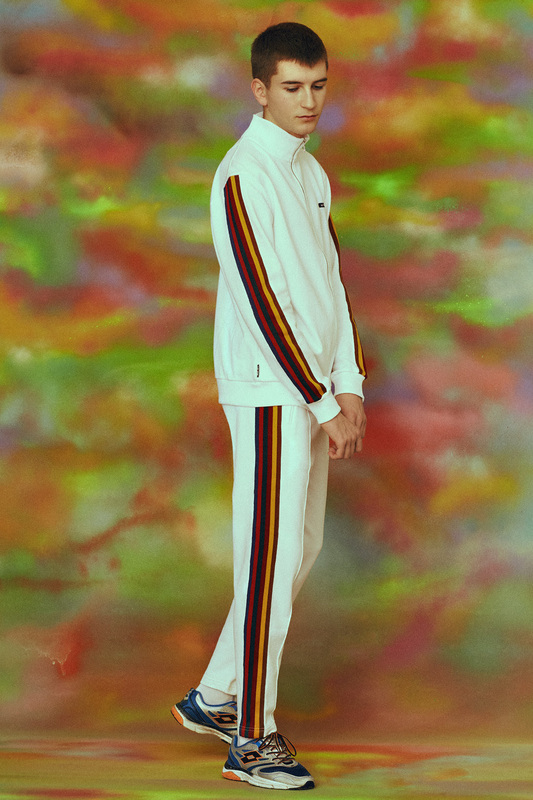 They have used polyester, cotton, linen, corduroy and crepe fabrics. The colours are bright neon, citrus, lavender and aqua in combination with the more traditional Le Fix colours white, red, navy and black. Welcome to the collection!